Heart-shaped gift boxes are great ideas for romantic and unique present decoration and presentation. Heart shaped gift boxes are versatile. You can present Valentine’s Day gifts and Mothers Day presents in heart-shaped gift boxes or create an impressive gifts for Christmas and birthdays. 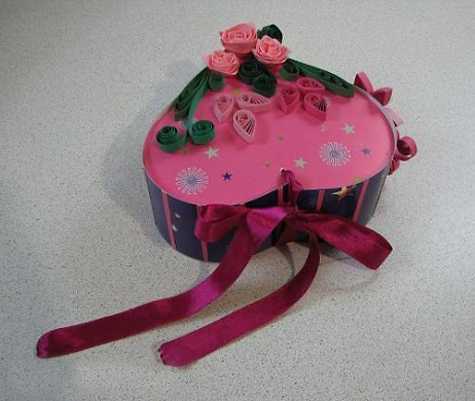 Handmade heart-shaped gift boxes look very romantic, charming and impressive. They add an exclusive and luxurious look to gifts. Heart-shaped gift boxes are excellent paper craft ideas for kids and adults, for all who want to impress loved ones and friends with beautiful gift presentation. Heart-shaped candy box or homemade cookies in a heart-shaped gift box look elegant and stylish, turning simple gifts into very special and charming, showing your talents and delighting your loved ones with unexpected handmade design. 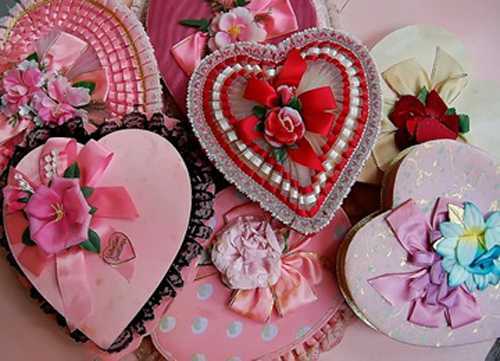 You can use cardboard, craft paper and even thick felt fabric for making attractive and charming heart-shaped gift boxes, then decorate them in a creative way with buttons and beads, ribbons and paper flowers or leaves, lace and embroidery or appliques. 1. Create or print out a heart template for your gift box. You need two hearts, the larger heart is for the inner top of the box, the smaller is for the bottom. Trace the two heart shapes onto 4-ply matte board. 2. Cut two 1-inch strips of poster board, enough to fit around the circumference of the two hearts. 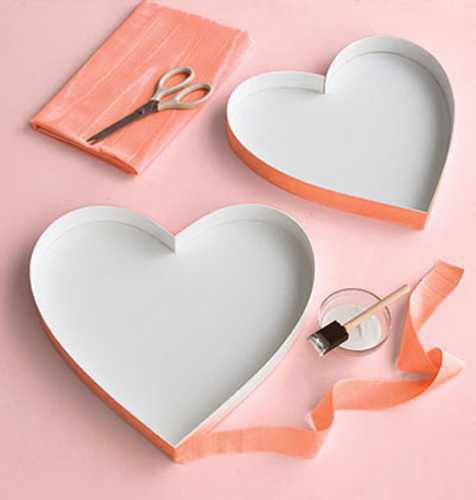 Apply glue with the glue gun to the edges of the hearts, shaping it as you work your way around the heart perimeter to create the side of the gift box. 3. Decorate the top and bottom in your favorite style using buttons and beads, ribbons and paper flowers or leaves, lace and embroidery, appliques or simple small branches. Hearts decorations on your gift boxes are gorgeous Valentines Day ideas. 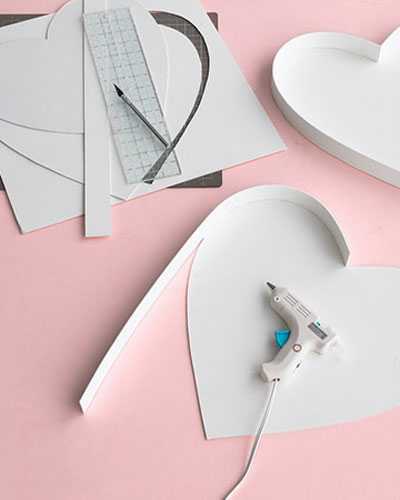 Cut out two large hearts from the poster board using decorative edgers. Affix one of the hearts to the top of the gift box, and one to the bottom. 4. 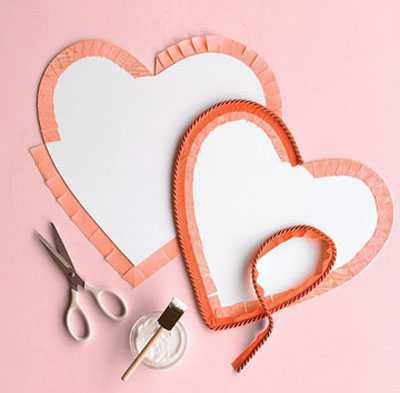 Make a heart-shaped cutout from decorative paper and place inside. 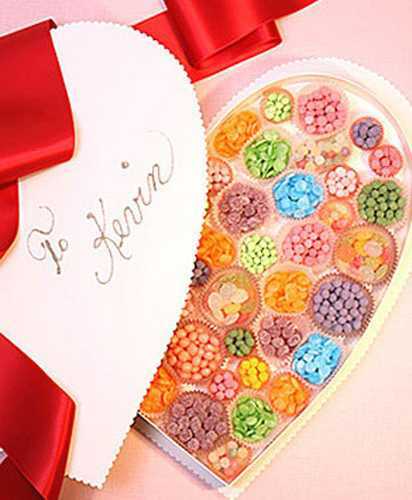 Fill the gift box with candies or cookies and top with a heart-shaped liner. You can add a love note, a cheerful or funny message on the top and a few sprinkles of glitter and beads for extra charm. Use heart templates to make colorful hearts decorations that spread love on Valentine’s Day. 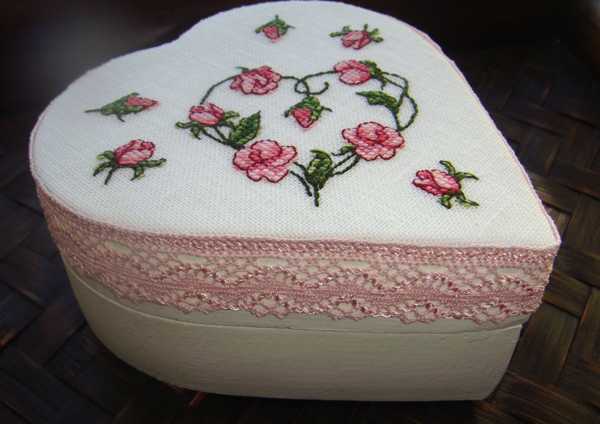 Decorate heart-shaped gift boxes with patterned paper, sprinkles or glitter, beads and ribbons, paper flowers or leaves, lace and embroidery, appliques and small branches. A sewing needle helps to create gorgeous gift boxes of felt fabrics. 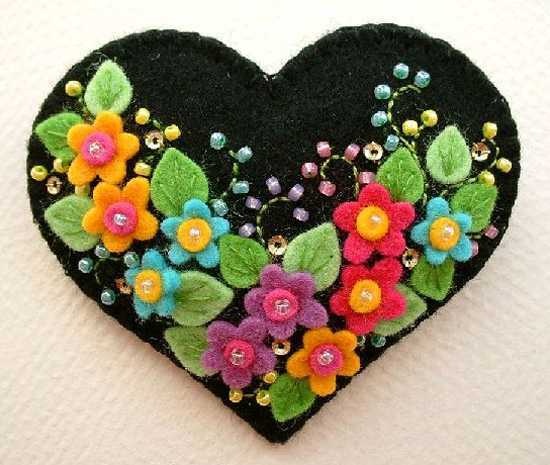 Floral and heart embroidery and appliques are great Valentines Day ideas that add a personal touch and an impressive look to gifts and holiday decorations.